Let Flack help cheer you up from the post-referendum gloom. This week: nautical problems for Matthew Freud, a cheesy situation for Richard Edelman, and pics from the PRWeek Cannes party as Flack decamps to the south of France. PR movers and shakers gathered at the Haymarket Hive for PRWeek's Cannes Lions party on Tuesday evening, where the theme was Red Mischief (hence the colour of some revellers' outfits). Here are some pics from the night: enjoy. One intriguing question around Cannes Lions 2016 was why did Freuds apparently disengage from the festival at the 11th hour? The agency was said to be planning a series of events during the festival, including a putative party on Matthew Freud's yacht, but none of these took place. Indeed Freud himself was nowhere to be seen; and CEO Andrew McGuinness cancelled his trip over at the last minute. Some Freuds staff were spotted on the Carlton Terrace, but looked a little lost – at least until they had downed a magnum of Domaine Ott. Such elusive behaviour from one of the world's most charismatic PRs, and one of its most glamorous agencies, prompted some intriguing theories. The most mundane of which was that Freud had taken his train set (including his Sunseeker boat) home in a huff at his lack of winners in the PR Lions. Rather more scurrilous was the rumour that Freud had cancelled the trip because of the inauspicious berth allocated to his yacht in Cannes' 'keep up with the Jones' (or should that read the Candy Brothers?) dockside. After all, it would be difficult to accept an inferior spot to those vessels chartered by the Daily Mail (which famously detests Freud) or News UK (since Freuds' high profile split from Elisabeth Murdoch, News UK's boss Rupert is hardly a fan). Flack drowned its sorrows at the lack of 'yohoho' from Freuds with a bottle of rum. Golin international president Matt Neale told Flack that he was "somewhat cheesed off" in Cannes on Tuesday, after being landed with a rather pungent 'l'addition fromage' courtesy of rival NYC agency boss Richard Edelman. Edelman was running late and clearly flustered about the lack of PR Lions success when he ordered pricey cheese and fruit platters at La Croisette's iconic Majestic Barriere restaurant. Indeed he didn't have time to eat much cheese or pay the cheque before rushing to his next engagement, handing it to a stunned-looking Neale who was in the process of sitting down at the same table for lunch. "I will Brie honest," Neale confessed, while munching on a cracker. "This stunt by the world's most powerful PR man takes the biscuit." 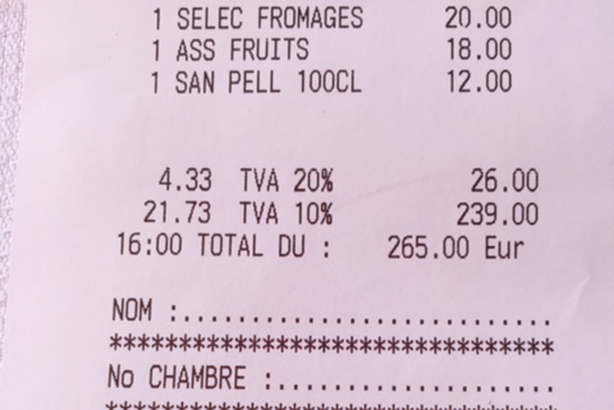 That said, Neale happily settled the bill, attesting to the unusual quality of the Camembert. PRWeek can now reproduce the controversial cheese bill in full (below). Some items have been redacted and witnesses' names have been withheld. The creme de la creme of Britain's consumer PR shops were in collaborative mood on Cannes' famous Carlton Terrace on Wednesday evening. Flack was witness to an extended love-in between James Herring of Taylor Herring, W's Warren Johnson and Kaper founder Chris McCafferty, along with senior executives from MHP and Freuds. It kicked off (as every consumer campaign must do...) with a sharp, colourful photocall, only later evolving – some would say descending – into a 'heated debate' about how (or indeed whether) UK PR agencies should engage better with Cannes Lions and get the credit they most clearly deserve. As the sun sank, the bottles of rose grew alarmingly in size, from magnums to methuselahs, with sparkly fireworks beginning to accompany the opening of each new bottle, and ever more impassioned monologues predominating. Eventually, of course, the ad guys muscled in on this hallowed space and the impromptu creative PR summit broke up – the proponents threatening to take their rants on to unlikely sounding hotel suites – but even Flack was moved by London's boutique consultancies fleetingly transforming this corner of a foreign field into something that felt forever England. PR Lions jury president and Edelman creative guru John Clinton was waxing lyrical about the Grand Prix winner, The Organic Effect by Swedish creative agency Forsman & Bodenfors for retailer Coop, at a jurors' press conference before the awards were announced on Tuesday. The campaign - a controversial choice in some quarters, given claims about the validity of the science – involved members of a family being tested for pesticides before and after switching to an organic diet. Part of the process involved giving urine samples, and Clinton quipped that jurors would be handling out pots to journalists to test their own pesticide levels. Flack shudders to think what the results would be. Taylor Herring’s polar bear – the realistic human-powered moving model used in promotional work for Sky Atlantic’s drama Fortitude – made an unseasonable guest appearance at Cannes, initially in a session about stunt marketing and later cropping up in the Croisette to join the fun; 1.3 cents for the thoughts of the man on the left. Flack hopes the two people inside the ‘animal’ were able to have a polar retreat of their own after dealing with this sweaty assignment. From Cannes to cans, now. Well done this week to Manifest London for a good opportunistic, spontaneous stunt for its client, the cider brand Orchard Pig, which is a neighbour of annual mud and music celebration Glastonbury Festival. When traffic started piling up outside the festival site on Wednesday, Orchard Pig offered free cider to anyone who tweeted their number plate. Manifest helped its client achieve 180,000 organic impressions on Twitter on Wednesday (a 3,100 per cent increase on the day before) as it gave away nearly 450 pints of the stuff, and was covered by several media outlets including national newspaper websites, Somerset Live and the sweary youth media platform Vice. When journalists train their lens on PR people and their involvement in national events, it is rare that they portray PR folk as anything other than shady spin doctors who are probably up to no good. And so it was that two outlets protested that there was something fishy and unethical about two agencies' involvement in Wednesday's memorial service for murdered pro-'remain' MP Jo Cox. "Spin doctors at the heart of the Westminster establishment have been drafted in to stage a memorial event for Jo Cox, due to be broadcast from Trafalgar Square tomorrow on what would have been her 42nd birthday," Breitbart frowned. "Corporate spin doctors take control of Cox image," tutted Guido, writing that this was "an emotional pull on the heartstrings on the eve of the referendum". Neither agency wanted to go on the record when contacted by PRWeek, but Flack is led to believe that the agencies provided pro-bono media relations work on the day of and day before the memorial, with both having previously worked with Cox and her husband Brendan. That detail, however, did not make it into either of the stories in question, although Guido was forced by Portland to clarify that "Bad Al" – its name for former Labour comms chief Alastair Campbell – was not involved. How’s this for a fast-rising young UK PR star? Browsing a copy of the Daily Mirror on Thursday, Flack was reading a spread that included an A to Z of famous folk who support the UK remaining in the EU and why they hold that view. 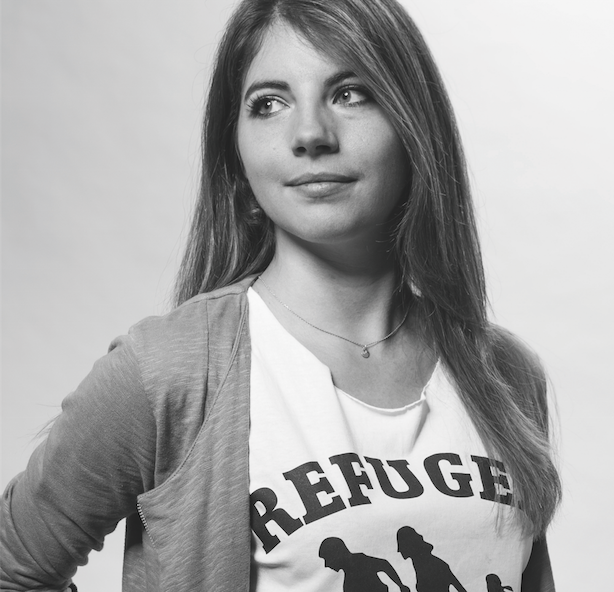 Alongside the likes of Barack Obama, David Cameron, Angela Merkel and – err – Ross Kemp, was Zoe Gardner, comms officer at Asylum Aid – who just weeks ago was included in PRWeek’s 30 Under 30 list. Gardner has also been contributing to PRWeek’s Referendum Panel. Life can't be easy for people who share their name with celebrities – FleishmanHillard Fishburn deputy CEO Ali Gee would be one of many to testify to that. But occasionally it must come in handy – this week Flack was particularly quick to open an email from... Tim Peake! No disrespect Tim, but it was a slight letdown to find this one was a press officer for British Gymnastics, rather than the man who did all that stuff in space. Apart from a jaunt to the south of France, Flack this week attended the launch of a report that identified a new trend of corporate comms specialists taking the reins as chief executives, citing studies that suggest today’s business leaders spend about a third of their time communicating. Another notable fact in the report was that half the corporate comms experts it surveyed said they were regularly present in executive board meetings. This seemed inconsistent with the comms world’s oft-heard lament; that it is refused a place at the top table, where decisions are made. So is it now past time that the comms profession throws off its inferiority complex? The launch was well attended, by men, women, older and younger practitioners. Looking around the room at the eager faces, as they lapped up the advice from the panel, as well as the salient points of the report, Flack tried to guess at the common thought in everyone’s minds: let it be me?